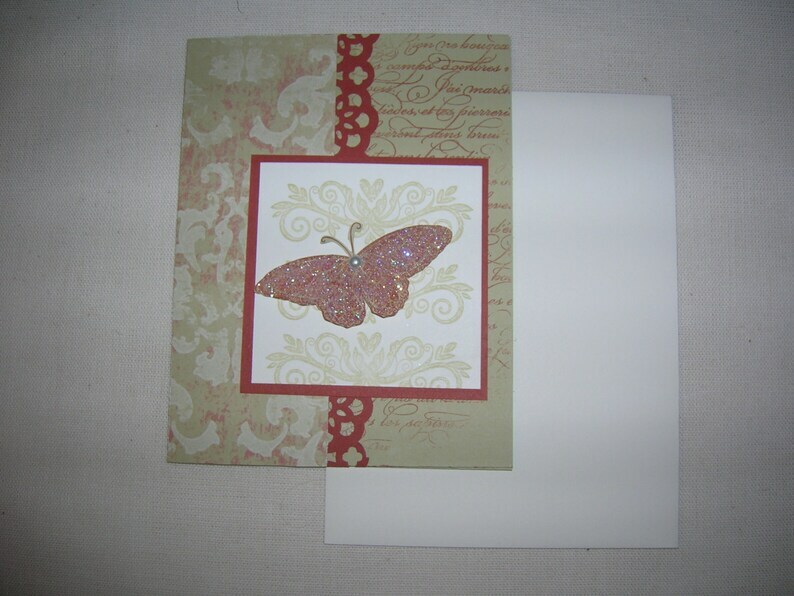 One hand stamped french script card with hand cut glittered butterfly. Designer paper and punched paper lace and pearl are added as embellishments. Size 4 1.4" x 5 1/2"